Andrea Connor joined the Institute in July 2017 to work on the ARC Discovery project 'Volumetric Urbanism' led by Professor Donald McNeill. 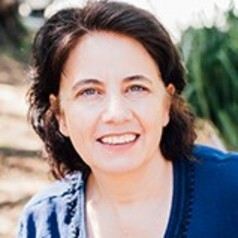 Previously Andrea worked as a researcher and writer at the City of Sydney. Andrea’s work is interdisciplinary ranging across the academic fields of human and cultural geographies, political theory, critical heritage studies, theories of affect, material culture studies and urban studies and aims to bring into conversation modes of inquiry that are often kept apart. She completed her PhD studies at the University of Technology Sydney in 2013 and her thesis was published in 2017 as a research monograph in the Routledge Interventions Series: The political afterlife of sites of monumental destruction: reconstructing affect in Mostar and New York. She has a strong interest in sustainable urban development, the materiality of affect, vertical geographies, the deployment of heritage in contested contexts and issues of density in cities. Andrea is currently researching the ‘vertical turn’ in geography and how cities are dealing with density in highly constrained CBD spaces.